In my last article 'your muscle pump' we investigate the understanding of what a pump is: and how to achieve it. I also mention different ways of producing a stronger pump by changing exercises and intensity levels to really push the boundaries of producing a stronger pump, even going beyond the burn: so… that's exactly what we're gonna do! So What Is Dynamic Weight Training? I often get asked what is Dynamic Weight Training? how can I work out dynamically, and what can it do for me? Weight training, bodybuilding, power-lifting, etc. have all been around for sometime, the dynamic pump is not a brand-new concept to weight training. Moving closer to the point: as a drug-free lifter, especially in the early days I could never understand why it was so difficult to gain muscle mass and strength? Training dynamically is a mixture of strength based movements: (Myofibrillar hypertrophy) that are also tightly monitored and cycled with dynamic pump exercises: e.g. (Sarcoplasmic hypertrophy) training. Anyone can create a modest pump riding a stationary bike aggressively for a few minutes or extending your hands out and making rotational circles; repetition creates the pump... the dynamic pump is found at the other end of this scale. Most people that train at a commercial facility will develop a pump to varying degrees depending on your goal and athletic commitment. The dynamic pump goes beyond this: by progressively increasing training intensity - with the soul purpose of achieving the athletic goal! To be dynamic is to be a part or the sum of the other moving parts within a training system. Hence: Training with exercise variety, angles, changing rhythm speeds as well as manipulating set and rep bundles: is all about pump Intensity! Sounds easy reading it here doesn't it? Training drug-free is hard work, so... train intelligently to see rewards from your efforts unfold in the gym and Train Dynamically! I have made some videos for this article to help demonstrate some of the different ways you can change, vary and ultimately increase the pump process. The Dynamic Pump What’s The difference? The next time you go to the gym - if you’re a serious lifter: look around before you actually start training; at the people working out there, take a moment to see how others are training along side you. You may notice: most folks often train until they are mildly tired and then put the weight down. If you’re a beginner or early intermediate this is understandable, the muscles, tendons and central nervous system are not yet conditioned enough to handle any more at this point. You may also notice others who come to socialize, then theirs others that come for casual exercise because that’s what their goal or intention is. Then theirs a small percentage (a few), that have increased strength and size gains, just as there are others that try hard, but do not! 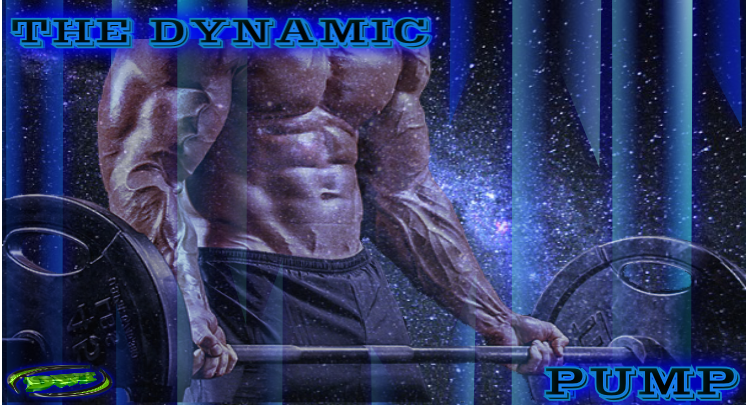 You’re only in your weight training where you want to be: if you want to be someplace different and take your biceps development to the next level, the dynamic pump will take you there! Stepping up the intensity with different, ever-changing and rotating exercises, while maintaining a stronger focus into a deeper threshold of the burn is the essence of (the dynamic pump), this type of training = a new level in anaerobic achievement. Not to mention; this pump can last up to several hours after your arm-workout. Once you’re warmed up, exercises are rarely performed in a one set series, the only exception to this is: if you’re performing one exceptionally heavy compound exercise. When it comes to producing an exceptional pump, compound and isolation exercises can all be used dynamically, matching exercises to focus on weak-point training or where you want pump intensity to be felt the most-should be taken into account. I like to use some compound exercises to shake up the central nervous system (keeping it off balance) keeping stimulation from new stress at its peak. Often with the primarily focus on increasing athletic endurance, by performing general training exercises, without the focus of building a compounding pump. The dynamic pump is used to focus attention on one particular muscle group and push it almost to the point of collapse, to force as much blood into the fibres as humanly possible. Training Intensity, Going Beyond The Burn! Dynamic weight training goes several steps beyond, setting the bar down after 9 or 10 reps; just because you’re too tired to use that level of resistance, does not mean you’re too tired to keep training. Average Joe: performs 10 repetitions of barbell curls until tired and sets the bar down. You immediately step into the next exercise and perform a set of alternating dumbbell hammer curls, pulling the dumbbell across the chest and squeezing it at the contraction point on each rep; essentially a (Super Set), with the emphasis on each reps contractions. If you think you have even one ounce of strength or a little more room in your biceps for a bit more blood to be pumped in, perform a set of narrow grip EZ-bar Scott curls. This is an old technique where by performing all three as a Tri-Set. The concept of Tri-set training is not new, but pushing the boundaries and going beyond the burn in the dynamic pump, if you haven’t before; you may find is very new and very different from the training - performed by Average Joe! This can also be achieved by performing Drop, Descending or Pyramid sets. The key in increasing your dynamic pump is by pushing well beyond what you maybe used to. The road to strength and size gains is not an easy one, but then again... What does easy have to do with building greatness! All body parts including the biceps and how you train them should always be assessed honestly! How to assess the biceps – look at your biceps honestly for what they are, first by identifying and assessing weak points and their counterparts, the biceps naturally have better and bigger development on the inside or long head than the outside shorter head. The dynamic pump brings other things into consideration, by focusing on the weakest areas first. 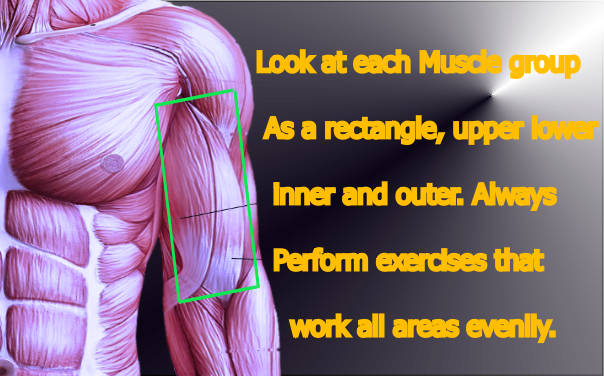 Look at the biceps muscle group, as a rectangle the top of the rectangle would be the upper, lower part would be the bottom, look at the left and right side as inner and outer parts of the biceps. Breaking the muscles down like this, makes it easier to designate tough to beat, hard-hitting dynamic exercises to force these areas of the rectangle into new growth. The dynamic pump is focused on the biceps in this article, but using the dynamic method can be used as mentioned; on any body part with equal intensity as the biceps. The biceps themselves are quite small in comparison to many of the other bodies larger muscle groups such as, back, chest, or legs. If increasing the size of your pipes and vessels is your goal this year. Then give my method a try. You might be very surprised at what you will see in the Mirror in a short time. For natural guys, the dynamic method does work! The only thing you have to do is - supply the sweat! You will find with this type of training boredom is nonexistent and training plateaus come and go as fast as you arrive at them. I hope this article sparks inside of you, the reality of building bigger arms without drugs, you can do this! Summon your all of your Motivation, focus on your goal, and make all of your determination, take you there!